By the time my blog was fixed, it was so close to the 1st of February 2013 that I decided to combine my January and February In My Kitchen posts together. I really missed taking part in this last month, but now that all my problems seem to have been sorted out, my blogging schedule is back to normal. Is an old fashioned ice cream scoop. I have wanted one for ages and it has been used twice a day since I got it as while we are on leave we have been eating sorbets and ice creams! Is the most beautiful book with a lot of blank pages which I received from Yuppiechef as a gift. I try and buy something every month from them, and nearly 90% of my kitchen toys have been purchased from them. Thank you guys so much – you rock! I look forward to a lot more boxes of happiness, fridge magnets and postcards from you in your nice new pink packaging. every time I am cooking are Molly and Patch. From looking at them, you would think Patch is the mommy! 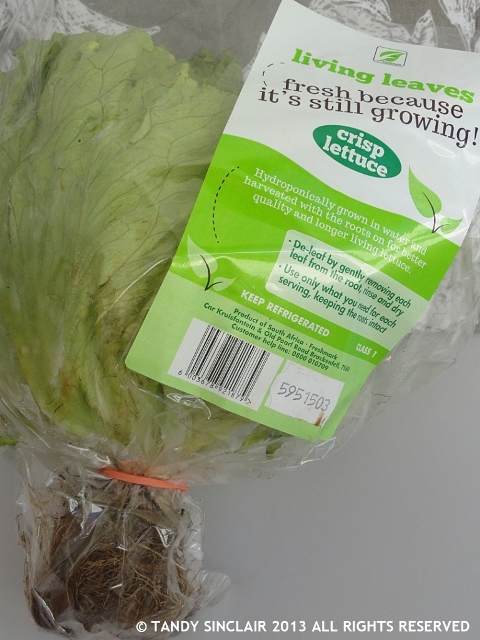 Is a gift I received from Checkers, a growing,living lettuce.It came to me roots and all. This product is meant to stay fresh long after it has left the store. I have had it for over a week now, and I am picking leaves each night to use for our salads. Is a brand new ‘wooden spoon’. It is made from bamboo which is sustainable and it does not have the same feel as your ordinary wooden spoon. I have chucked out all my old spoons and I will get another one of these. I really have to get some cookie dough mixed up! You have some lovely treasures in your kitchen. Thanks for stopping by my blog – lovely to meet you too! Love the book but I don’t like bamboo spoons. Mine are bamboo spoons are getting little chips and they are hardly used. I have several wooden spoons that are so old that I just love…they are like old friends in my hand. I love your kitchen things! What do you do with a garlic card? I am addicted to my kitchen – but some things are gifts 🙂 I will blog about the garlic card Sophie! 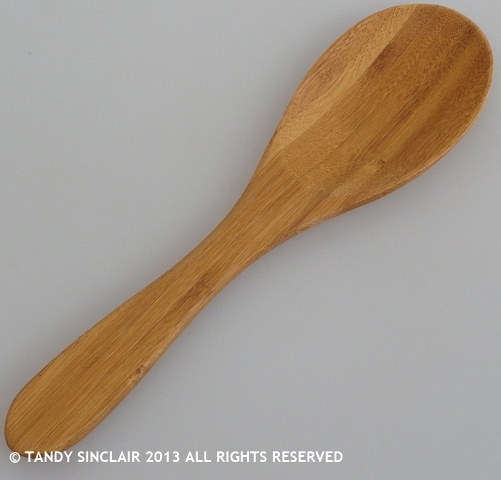 Tandy, that spoon looks wonderful – I haven’t seen a bamboo one here, but I’m on the lookout now! 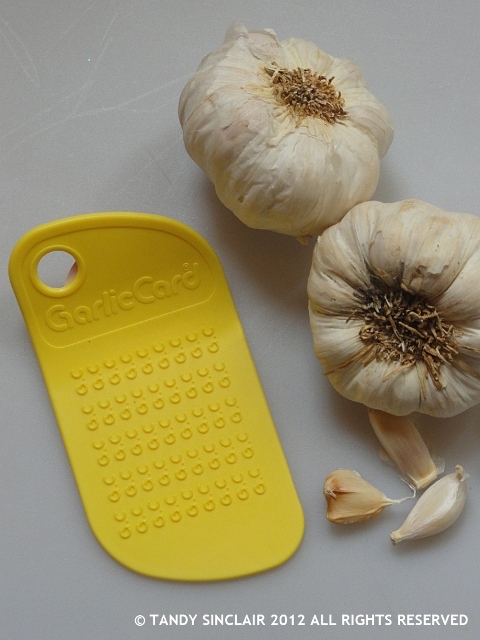 And I’d love to know how you use your garlic card – is it like a grater? I’m so glad you don’t have to take nuts and dried fruits out of your diet! And I use my icecream scoop to shape cookie dough! 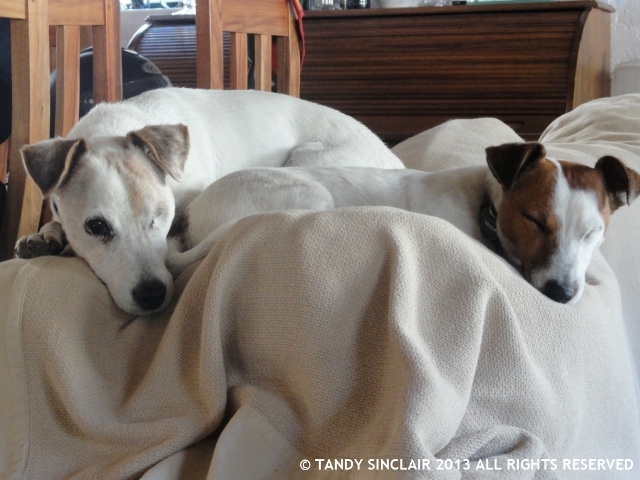 Lovely dogs, Tandy! I like the spoon and the garlic tools too. I am in the process of CLEANING my kitchen and removing old pans, broken spoons, old and forgotten spices…that it could be a very long post. The book is a real treasure in every way. So many lovely gifts Tandy! How sweet!! Ahhhh The ice-cream churner makes me miss my kitchen aid so much.. sighh.. I’m so depressed that I can’t use my kitchen aid here in asia due to the differences in voltage! 🙁 Gotta figure out a way to use some adapter. I was just thinking today I would love to make it myself. It is so easy to make! Layer the nuts then the fruit and the pour in the honey. Leave for a few days to infuse and enjoy! 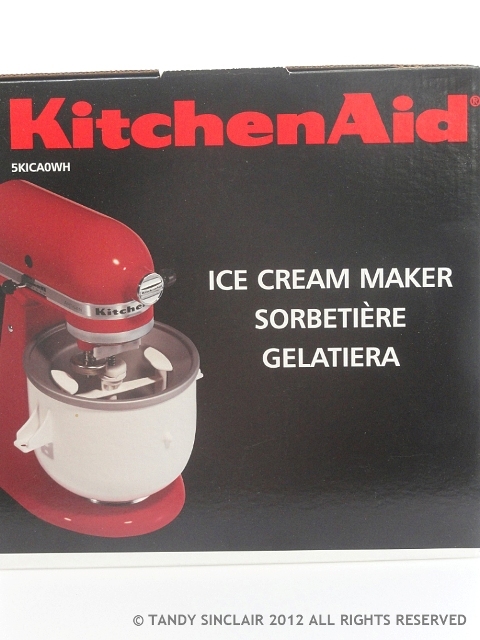 All of my ice cream makers gave up the ghost last summer, I’ll need to get the KitchenAid one now! 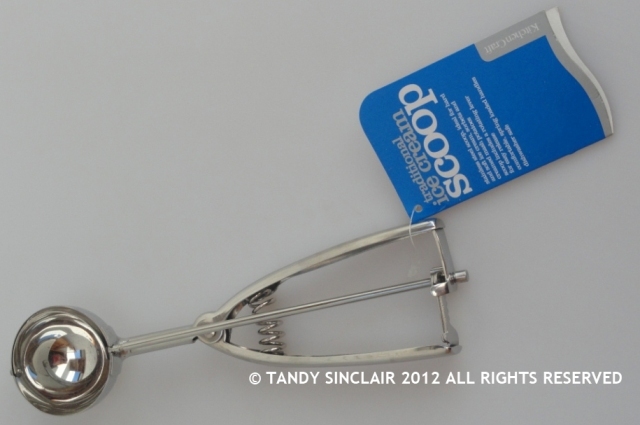 You can also use the scoop to dish out cookies, it is perfect for that. 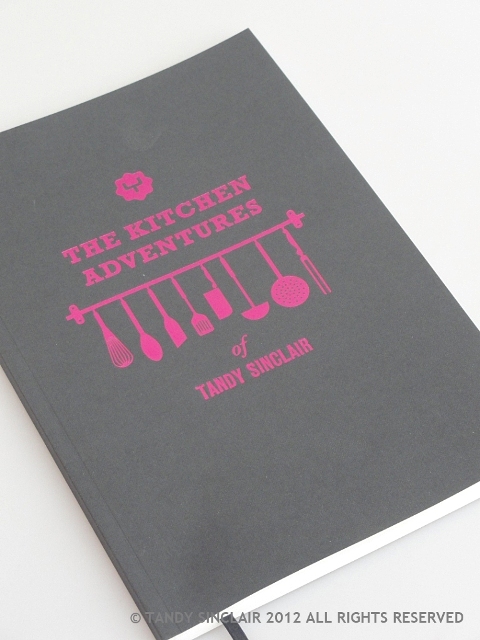 That book of Kitchen Adventures is something I would love to get for not only myself but as gifts too. I encourage writing in cookbooks. How special to have your mom-in-law’s book. Same vintage as me. 😀 That living lettuce is such a great idea. Haven’t seen them here; I must have a look. Patch and Molly are too gorgeous. Happy weekend to you, Tandy. Those figs look so delicious! Very nice things in your kitchen, my favorite is the bamboo spoon, looks great! Love your ice cream scoop- I have one in a very small size for scooping cookie dough. Love the books, the lettuce( do you have to keep it in water? 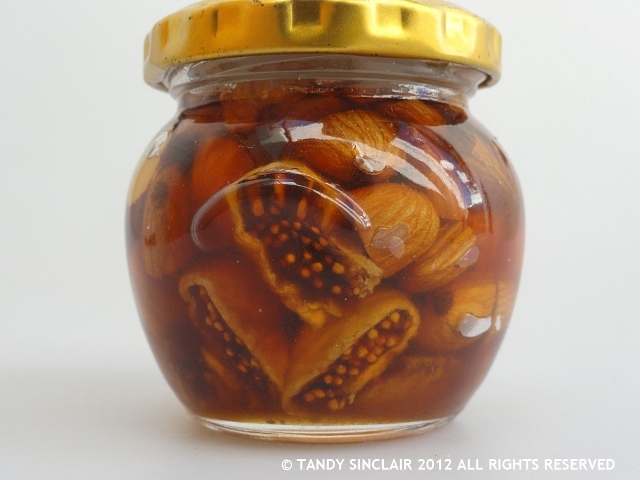 ), the figs in honey- well- really- ALL of the stuff you shared is simply lovely, Tandy! Have a wonderful weekend Tandy! Cookie scoop. That’s what I need! Hi Tandy, you sure have a lot of great things. I particularly like your two new books. I am sure you will treasure both. I like your spoon very much, I shall look out for them. 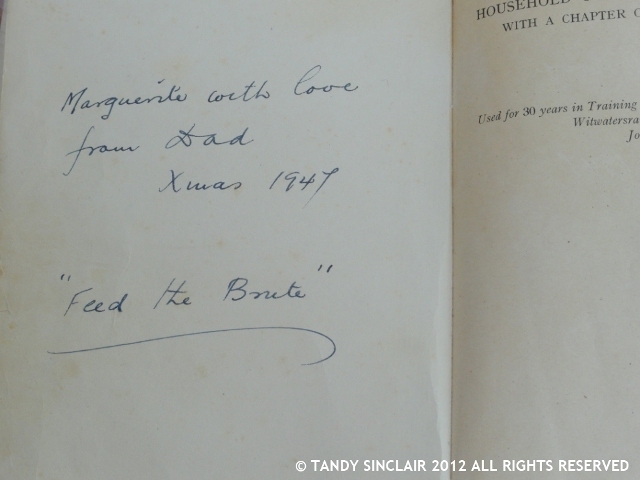 So many lovely things in your kitchen Tandy. What is the purpose of a garlic card? I haven’t seen one of those yet. Where ever did you get your lovely bamboo spoon from?